Click Here to Vote for Cork! Roscommon seem to currently be in the top spot. But the other place that we should aim for is #9, St. Stephens Green which is the most landed on spot!! Spread the word, tell the entire county, and vote every day!! 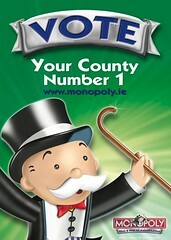 Vote Cork!